1 YRS Jiu Mu Machinery (Kunshan) Co., Ltd.
1 YRS Hangzhou Boray Industry and Trade Co., Ltd.
4 YRS Rui'an Zhenbang Printing Machinery Co., Ltd.
1 YRS Shenzhen Bascocut Technology Co., Ltd.
3 YRS Anhui Yangli Machinery Technology Co., Ltd.
3 YRS Wenzhou Yongshi Machinery Co., Ltd.
12 YRS Ruian City Jiayuan Machinery Co., Ltd.
6 YRS Zhengzhou Zomagtc Company Ltd.
Our company is a synthetical enterprise occupying more than ten thousand square meters of factory building. Our products have won high reputation among customer at home and abroad for the reliable performance and novel design. Our factory always attach great importance to quality controlling from the very beginning to the very end. High efficiency: with an average production of about 900.000 production of high precision hourly. 3,What's the delivery time9 Around 20~30days after pre payment received , however, based on order. 5. 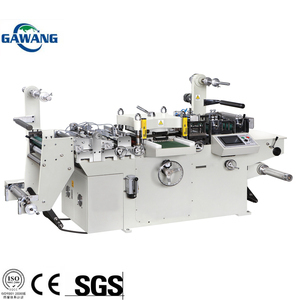 Why the customers choose you9 We have high quality of die cutting machine and intimate service. 2 YRS Kunshan Yidao Precise Machinery Co., Ltd.
8 YRS Shenzhen Teneth Technology Co., Ltd.
5 YRS Yancheng Haide Machinery Manufacturing Co., Ltd.
4 YRS Zhejiang Zhongte Machinery Technology Co., Ltd.
7 YRS Kunshan Xinmanyuan Hardware Machinery Co., Ltd.
4 YRS Wenzhou Bangbao Machinery Co., Ltd.
7 YRS Ruian Guoan Printing Machinery Co., Ltd.
1 YRS Shanghai Wity Import & Export Co., Ltd.
5 YRS Shenzhen Jing Xing Rong Precision Metal Products Co., Ltd.
10 YRS Jota Machinery Industrial (Ruian) Co., Ltd. 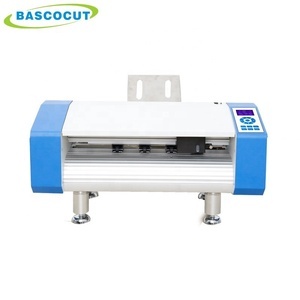 It is suitable for die cutting of adhesive paper, Dacron label and laser hologram mark. 2 ) . 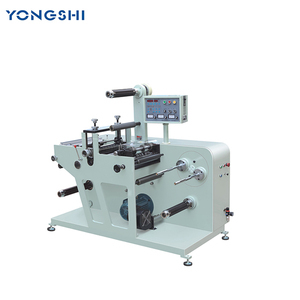 Punching, Lamination or Hot stamping system can be customized as per your request. Customers shoule prepare materials for testing machine and pay for technician salary. 5 YRS Pingyang Mingrui Machinery Co., Ltd.
3) Control the feeding, the realization of color code tracking, precision die-cutting. 4) According to the paper layout, use different shape knife version, pneumatic locking knife version, easy to change. What about the shipment9 We can send the machine to the customer designated locations in China. 3 YRS Ningbo Ameida Cnc Technology Co., Ltd.
12 YRS Ruian City Henyue Printing Machinery Co., Ltd. 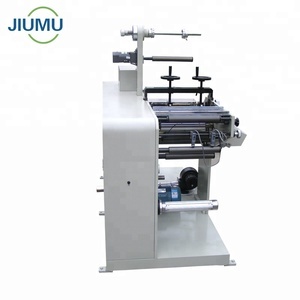 Die cutting, laminating, waste rewinding and sheeter (or rewinding) can be finished in one process. 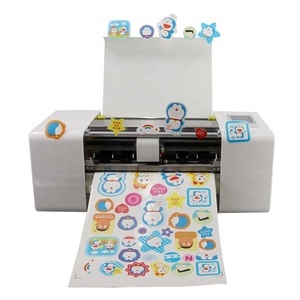 It is applicable to die cut free paper adhesive tape, polyester film trademark and laser anti-false trademark. 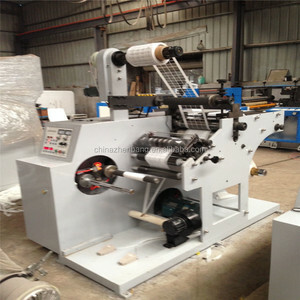 It is an ideal equipment for flexo printing machine, continuous rotary printing machine. 10 YRS Kunshan Hexin Precise Machinery Co., Ltd.
Alibaba.com offers 2,611 label die cutter products. About 60% of these are paper processing machinery, 1% are carton printing slotting die-cutting machine, and 1% are other hand tools. A wide variety of label die cutter options are available to you, such as die-cutting machine, paper cutting machine, and slitting rewinder. You can also choose from yes, no. As well as from free samples, paid samples. 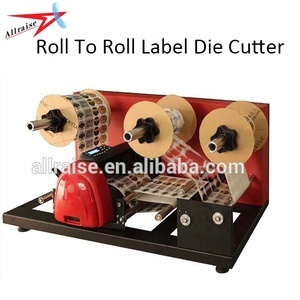 There are 2,611 label die cutter suppliers, mainly located in Asia. 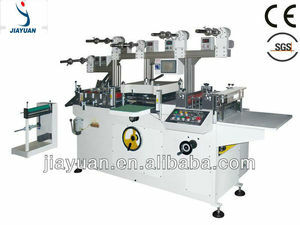 The top supplying country is China (Mainland), which supply 100% of label die cutter respectively. 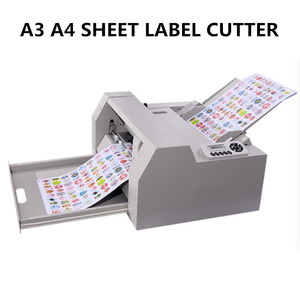 Label die cutter products are most popular in North America, Domestic Market, and Mid East. You can ensure product safety by selecting from certified suppliers, including 479 with Other, 230 with ISO9001, and 1 with ISO/TS16949 certification.